ARWP's roofing contractors are backed with more than 30 years of experience. Their team is trained to inspect, repair, install, and replace your roof. 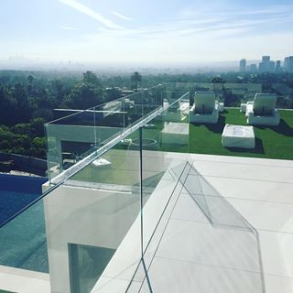 Whether it is a commercial property or a home, we are Los Angeles and Southern California’s one stop shop for roofing. Our team is skilled at effectively managing any project, whether it is big or small. Our focus is on delivering superior results to all of our customers. Don’t be misled by the term “Commercial Roofing”. It doesn’t always mean a commercial building. Sometimes it is a type of building and roof construction that are commonly used on buildings with commercial uses. These techniques can include those used on flat roofs as well as roofs with a pitch designed to shed water. 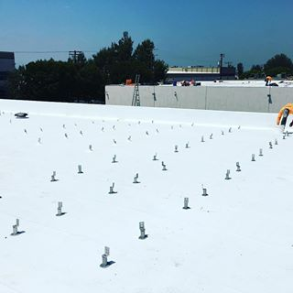 In most cases, commercial buildings have flat roofs that need specific materials or special types of work to prevent leaks. A lot of new architectural designs incorporate commercial roofing application, whether the building is used for commercial purposes or not. In Southern California, it is best to consult an experienced roofer that knows what types of roofing materials are best for a particular type of roof construction. Ready to get your project started? Contact us here! The focus these days is that going green is great for the environment. But did you know that green standards in roofing are one of the oldest methods of roof construction? Environmentally friendly, green roofing technologies have been used for centuries, but the latest innovations in roofing materials has caused a resurgence. Many architects and contractors around the world are using new green roofing technologies to create wonderful rooftop gardens that are being used to grow organic materials as well as profits. These green roofs can also help to utilize the hot Southern California sun instead of letting it passively contribute to the current state of the environment. The process that goes into creating any type of green roofing project is not that different from other types of roofing projects, but the benefits are so much greater than a standard roof. Beside the fact that green roofing materials are environmentally friendly and help to cut the rising cost of utility bills, these roofs also qualify for tax credits offered by the state of California and the federal government. These credits can be pretty substantial, but it is a good idea to consult a tax professional when considering any type of environmentally friendly construction project that could qualify. As the term would imply, residential roofing is typically the installation of roofing materials on a residence. The techniques associated with residential roofing are not always used on homes; some of the techniques also carry over to other types of roofing projects. To find out which type of residential roofing material is best for your home, it is best to consult a roofing professional and get an estimate for your roofing repair or replacement. Contact us here and let our roofing professionals assist you.